has extreme permeability with MVTR 40 000 g/m2/24h and RET 3 with water column starting at 15,000 to 50,000mm regarding to lyers. INNER MATERIAL, AND USABILITY. WE GUARANTEE THE BEST PERFORMANCE. You can improve your new products in order to provide your customers with the highest comfort in extreme activity under extreme conditions. RESPILON® membranes create new market leaders and we guarantee that your products can gain with us new unique selling propositions to become innovative in what you do. KEEPS YOU DRY ALL THE TIME. The temperature of the feet stays constant. Shoes are perfectly adapted to activity. Sweat goes away, rain stays out. All this is possible because of nanofibers. Improve the quality in your show manufacturing process by using the newest nanofiber technology. 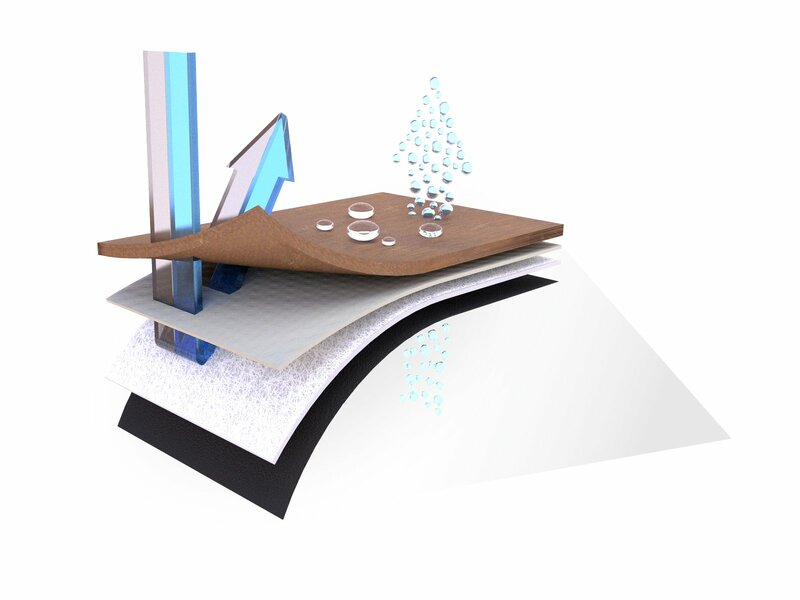 Our RESPILON® Shoe Membrane improves every type of shoe, while providing 3.5 times better vapor permeability than current market leaders. Your feet will never sweat again.